Specific therapies exist and are usually efficacious in the treatment of the organ-specific manifestations of scleroderma, and can greatly improve symptoms and reduce morbidity and perhaps mortality. A focused discussion of these organ-specific therapies should be individualized to each patient. A review of the details of these treatments is beyond the scope of this chapter, but is covered in detail elsewhere in this book. Patients who have scleroderma should be seen by a rheumatologist for consultation. It is important to recognize that scleroderma is a chronic systemic disease that has both a physical and emotional impact on the patient. A comprehensive history and physical examination will define the type of scleroderma, the potential organ involvement and give insight into the level of disease activity. The type of laboratory testing that is needed is dictated by the history and physical findings. The initial evaluation needs to focus on the specific organ involvement and pertinent non-scleroderma-associated medical and social problems. It is most important that the physician understand the full impact the disease has on the quality of life and to use a team approach to management. This team effort should include the patient, family, appropriate friends, non-physician medical staff and whatever other medical specialist that are needed. It must be appreciated that scleroderma is a rare disease without a proven curative therapy. Many current treatments are potent and complex medications. Referral to a scleroderma center is recommended both to take advantage of the expertise of a “scleroderma specialist”; but also to participate in novel therapy and new research initiatives. At each visit, the physician should assess the level of skin involvement by performing a skin score. This is done by palpation of the skin to determine the degree of thickening. Seventeen areas (fingers, hands, forearms, upper arms, face, chest, abdomen, upper leg, lower leg and feet) are scored from normal (zero) to severe (3) thickness. The maximum score is 51. The skin score provides a semi-quantitative method to characterize the degree of skin involvement and classify the patient as having limited or diffuse scleroderma. Palpation of the skin can also stage the disease and give some sense of disease activity. Active disease is associated with inflammatory signs (e.g. edematous skin) while inactive skin disease is manifest by thickened sclerotic skin typical of mature scar tissue. Usually, physical features can determine the subgroup of scleroderma at first visit. However, if the patient has new onset disease then serial observations at short intervals (approximately once per month) are necessary to fully appreciate the disease type. The degree of skin disease and the level of disease activity provide clues about the risk for internal organ involvement. The higher the skin score, the worse the prognosis and there is a higher the risk for internal organ involvement. Active skin disease correlates with active disease in other organs (e.g. fibrosing alveolitis or renal crisis). Thus a very simple beside examination of the skin will give information about both severity and activity of the disease. Patients with scleroderma should monitor their blood pressure regularly. Particularly in patients with early diffuse scleroderma, this should be done frequently (daily) using a well-calibrated home blood pressure device. It is this subset of patients who are at greater risk for kidney disease (known as scleroderma renal crisis). Scleroderma kidney disease usually presents as new systemic hypertension that may be asymptomatic. Evidence suggests that renal blood vessels suddenly constrict (Raynaud’s phenomenon of the kidney), dropping blood flow to the body or cortex of the kidney. Left untreated, the low blood flow leads to tissue damage and kidney failure. This reversible problem was the leading cause of death in scleroderma before new treatment was discovered. Rarely, renal failure secondary to scleroderma vascular disease occurs in the absence of hypertension. Patients with hypertension should be treated as a medical emergency with rapid assessment of renal function (urinalysis and blood testing) and control of any blood pressure elevation with an angiotensin converting enzyme (ACE) inhibitor. Patients with evidence of renal crisis often need to be hospitalized to order to monitor blood pressure and renal function closely and to titrate medications. Lung tissue and the blood vessels in the lung can be affected by the scleroderma disease process. Therefore, the lung and heart need to be carefully evaluated in every patient both at the onset of the disease and periodically thereafter. A full set of pulmonary function testing (spirometry, lung volumes and diffusing capacity) should be obtained on the first encounter and, if results are abnormal, carefully evaluated. Scleroderma causes a restrictive ventilatory defect (small lungs) secondary to an inflammatory process in the lung alveoli (air sacs). This process, left untreated, leads to fibrosis of the lung tissue (a fibrosing alveolitis) that interferes with normal gas exchange from the air to the blood. It is challenging to detect lung involvement in scleroderma because active disease may be present in the absence of symptoms. The physical examination and traditional chest x-ray are insensitive methods to detect early lung disease. Pulmonary function testing is very sensitive and reliable but defines function of the lung and not the activity of the disease. Serial pulmonary function testing can define activity, but several months must pass before changes occur. If the pulmonary function tests are abnormal, then a high-resolution computed tomography (CT) scan can detect early lung fibrosis and inflammatory changes. If the lung function test results are normal, it is recommended that they be repeated every 4 to 6 months in patients with early diffuse scleroderma. Patients with worsening lung function by pulmonary function testing or abnormalities on high resolution CT scan should undergo a bronchoalveolar lavage (BAL). This investigation obtains fluid and cells directly from the lung. Cell counts, determination of cell types and other special studies can define disease activity with precision. A patient with abnormal results on the BAL study suggestive of active lung disease should be treated with immunosuppressive or other therapy. The right heart pumps blood into the lung to get oxygen to the body. Usually, this is a very low-pressure system because the lung and its blood vessel are a system with very low resistance. If the blood vessels or lung tissue becomes diseased, then the pressure in the pulmonary circulation and the right heart rises (pulmonary hypertension). Pulmonary hypertension generally occurs late in scleroderma. The rapid onset of severe pulmonary hypertension presents primarily in patients with limited scleroderma after years of relatively mild disease (e.g. sclerodactyly, GERD and Raynaud’s phenomenon alone). A 2D-echocardiography (ultrasound test of the heart) study is a simple, non-invasive method of assessing heart function and estimating right ventricular systolic pressure (an indirect method of estimating pulmonary artery pressure). Patients with signs or symptoms of right heart failure who have abnormal right ventricular systolic pressure may need a right heart catheterization to determine the exact pressure and the need for therapy. Severe pulmonary hypertension can shorten the patient’s life. Early detection is important because new medications are now available to treat this disorder. Therefore a 2D-echocardiogram should be done on a yearly basis on every patient with scleroderma. Although most patients do not have serious heart disease, care must be taken to discover heart disease. Heart disease in scleroderma is usually asymptomatic until the late stages of disease. Periodic monitoring with careful bedside examination, periodic 2D-echocardiography and electrocariography are most important. The heart may be affected by scleroderma microvascular disease, tissue fibrosis, pericardial disease and inflammation of the heart muscle (myocarditis). Although scleroderma may cause heart disease, non-scleroderma causes of heart disease are more frequent and need to be detected and prevented when possible. The traditional risk factors (e.g. family history, hyperlipidemia, smoking) also exist in the scleroderma patient and care must be taken to practice good internal medicine in these patients. Therefore, a lipid profile should be obtained on every patient with scleroderma. Evidence suggests that the involuntary muscle of the gastrointestinal tract (smooth muscle) can be affected in scleroderma. When this muscle is involved, abnormal motor function of the esophagus, stomach, small or large bowel results. Difficulty with swallowing, dyspepsia, heartburn, early stomach filling/delayed emptying, constipation and diarrhea – all or some of these symptoms can result. Minor gastrointestinal symptoms are more common then severe problems. Typical (heartburn) or atypical (chest pain, gagging, dry cough) gastrointestinal reflux symptoms are almost universal among both limited and diffuse scleroderma patients. If untreated, inflammation of the esophagus, esophageal stricture, gastrointestinal bleeding or poor quality of life may result. Special testing may be necessary, particularly if the patient does not respond to routine therapy (e.g. a proton pump inhibitor). Endoscopy, motility studies or swallowing studies are used to fully appreciate the severity and complications of the gastrointestinal disease. The timing of these studies is dictated by symptoms and response to therapy. Several medications now exist that can effectively treat the gastrointestinal manifestations of scleroderma, including medications to treat acid reflux and motility problems. In general the liver and biliary system is not affected by scleroderma. However, autoimmune hepatitis and primary biliary cirrhosis are associated with the limited form of scleroderma. Therefore, liver function test should be obtained in every patient. Musculoskeletal complaints are common in the rheumatic diseases and scleroderma is no exception. Arthritis can be detected by physical examination but muscle disease may be asymptomatic until weakness occurs. Muscle weakness, secondary to an autoimmune mediated inflammatory myositis or a non-inflammatory fibrotic myopathy, can be detected by measuring muscle enzymes (CPK, aldolase and transaminases). If the enzymes are abnormal, then further specialized testing (EMG or muscle biopsy) may be necessary. It is equally important to carefully determine if other causes of muscle weakness exist. These include fibrosis of the muscle secondary to the scleroderma process, weakness from disuse or wasting from deconditioning and malnutrition. Patients also can have a non-scleroderma cause of muscle weakness including metabolic disease (e.g. hypothyroidism), side effects from medications (e.g. lipid lowering agents and corticosteroids can induce myopathy) or another disease process (e.g. tumor associated myopathy). When weakness is present, all of these causes must be considered and investigated. Once a cause is determined, effective therapy can be instituted. Raynaud’s phenomenon and cold intolerance are seen in almost every patient with scleroderma. Patients often feel worse in winter months and complications from Raynaud’s phenomenon such as digital ulcerations are more likely to occur in the cold winter months. In addition to management with vasodilator therapy, patients must be taught about cold temperature avoidance and stress control. Careful examination for larger vessel disease is important. For example, patients with limited scleroderma and severe Raynaud’s phenomenon with digital amputation often have evidence of macrovascular disease such as ulnar artery occlusion. In addition, care must be taken to detect other causes of vascular disease including diabetes, atherosclerosis, emboli or a hypercoagulable state. A comprehensive care plan to manage the vascular disease of scleroderma is usually warranted. When the disease is in the active phase, constitutional symptoms of fatigue and low energy are common. These are often coupled with inability to sleep normally. Sleep is disrupted by fear of the illness, depression, pain, skin itching and/or specific internal organ dysfunction (e.g. heartburn from gastrointestinal reflux or shortness of breath from heart or lung failure). The lack of sleep amplifies daytime symptoms; especially diffuse soft tissue pain and fatigue. Disordered sleep is treated by both non-drug and drug therapies. Scleroderma does not appear to cause central nervous system dysfunction. It is, however, associated with mood disorders (depression), altered self-image and sexual dysfunction. The cause of these problems is likely multifactorial, but should be addressed in each patient. Fear of the disease (anxiety/panic) and depression are often not revealed by the patient because of the embarrassment of discovering an emotional illness or the fear of appearing psychiatrically ill. The physician must allow time to specifically explore this aspect of the patient’s health and he or she should provide the opportunity for the patient to get the appropriate therapy. Recent studies show that pain is a major cause of depression in scleroderma. If pain is left untreated, the patent’s level of distress escalates and his or her quality of life declines. One of the most intense sources of pain in scleroderma is the deep tissue fibrosis that causes joint contractures and tendon friction rubs in patients with the diffuse form of the disease. The traditional anti-inflammatory medications (NSAID and corticosteroids) are not particularly effective and low dose narcotics may be necessary. Self-image is a complex concept that is often not mentioned by the patient or addressed by the physician. Scleroderma can be disfiguring and almost always affects the face and hands, two areas that are important cosmetically. Patients can be more distressed by facial telangectasias and deformed hands than occult lung or heart dysfunction. Although the management of self-image problems in scleroderma is not well studied, the emotional impact of this aspect of the disease needs to be recognized and treated. Every person has an important social role in life. Scleroderma can disrupt one’s ability to perform their usual role as mother or husband or good student or superb tennis player, etc. Often the individual becomes a “scleroderma patient” both in the physician’s office and at home. It is most important that every effort is made to have the patient maintain their social role in the family and elsewhere. For example, the physician must recognize that individuals are comfortable when they are in control of their daily activities. A chronic illness like scleroderma takes that control away and adds an element of fear of the unknown. In managing the person with scleroderma, the physician must recognize this and engage the patient in his or her own health care. The patient should have easy access to the physician and be part of the “team” providing care. The family needs to understand and appropriately adjust, but at the same time allow the patient to be an individual who continues his or her proper role in the family. Sexual function is often impaired in scleroderma, yet rarely discussed or managed. In fact, there are few studies that define the magnitude of the problem or provide clear guidelines for treatment. Erectile dysfunction is common among males with scleroderma and is thought to be secondary to abnormal microvascular function and local tissue fibrosis of the corpus cavernosum. All males with erectile dysfunction should be carefully evaluated and treated appropriately (e.g. sildenafil). Sexual dysfunction among women with scleroderma is not well studied. Open discussion about sexual relationships and the need to design an intervention is most important. Professional counseling, and treatment of pain, dry membranes and anxiety or depression can be helpful. Recognizing the physical, emotional and social impact of scleroderma can enhance quality of life. Patients can be consumed by the disease to the point that their usual life activities are diverted to health care issues only. Health care needs to be blended into a formula that allows the patient to be in control and to enjoy usual aspects of daily living. Surprisingly, the impact of scleroderma on the quality of life does not necessarily correlate with the severity of the disease. Patients with relatively mild disease can be devastated because they know they have scleroderma. Sometimes this response is dictated by the personality traits of the affected individual but it is almost always strongly influenced by how the patient is handled by their physician(s) and the availability of various types of social support. Misconceptions about scleroderma are the most common cause of distress. Often patients with mild disease have the concept that they have an untreatable fatal disease. The lack of a cure is translated into “no treatment is available”. Education, expert care, and institution of comprehensive medical management improve quality of life. The most important intervention that a physician can perform for patients with scleroderma is educating them about the disease process and emphasizing that sustained contact with their physician is vital. Regular physician visits, routine screening procedures and prompt attention in the time of an acute crisis are crucial in the management of scleroderma. Shah AA, Wigley FM. My approach to the treatment of scleroderma. Mayo Clinics Proceedings. 2013;88(4):377-93. McMahan ZH, Hummers LK. 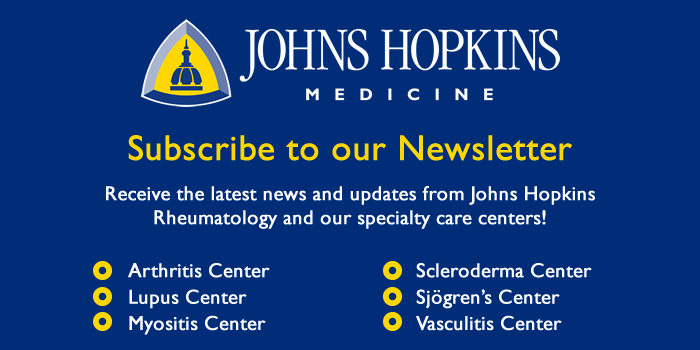 Systemic sclerosis – challenges for clinical practice. Nat Rev Rheumatol. 2013 Feb;9(2):90-100.